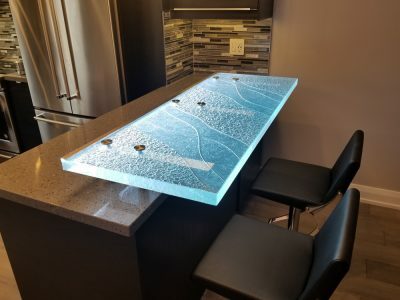 If you want to put a smile on your face and ‘wow’ your guests or customers every time they come into your kitchen, bathroom or bar area, there is no better way to do it than with a unique, beautiful glass countertop. CBD’s contemporary countertops come in a wide variety of shapes, thicknesses, textures, edges and colors. We are known for our superior technical and artistic sophistication when it comes to our textured glass. 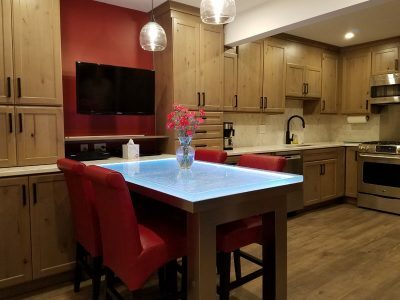 All of our glass countertops come from handcrafted molds, which leave distinctive, one-of-a-kind marks and textures, for a look that is luxurious and spectacular. 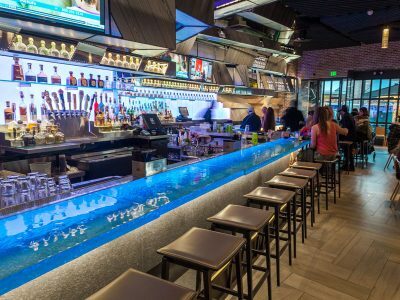 Whether you are looking for glass kitchen countertops for your home, glass bathroom countertops for your office or glass bar countertops for your restaurant, CBD will make any area you add glass counters to a showcase worthy of a magazine. CBD glass is extraordinarily durable and it can be tempered according to building codes. 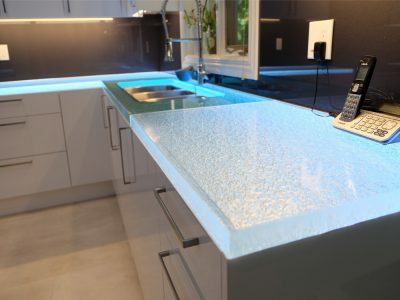 CBD glass countertops are elegantly beautiful, but at the same time, highly functional. Our artists are inspired by the natural beauty they find in the world and translate that into exquisite works of art that can withstand the test of time, both practically and aesthetically. 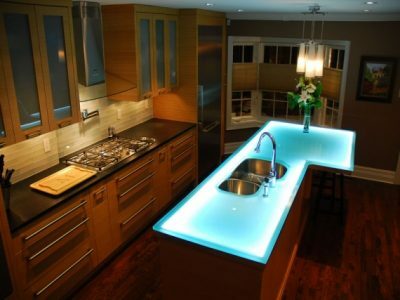 We will work with your concept to create a glass countertop that will take your breath away. 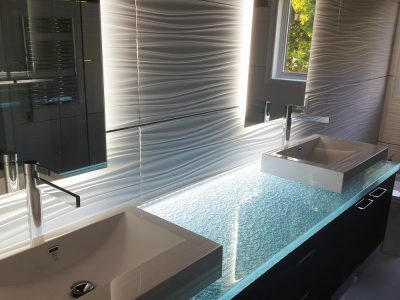 It doesn’t matter if you are a homeowner doing a small remodeling job and want a distinctive bathroom or you have a large commercial space and need multiple, creative pieces, CBD will design the perfect glass countertops for you. CBD Glass offers a wide variety of glass products to bring the beauty of glass into your home or office. Whether it is a glass sculpture or glass countertop, all of our glass is of the highest grade to ensure you it will last a lifetime. Contact us today to discuss the vision for your next countertop.